Once more into the vault my friends, once more into the vault. Step back in time, to a time when the modcast was young and fresh. Step back to the end of the summer of '06. I've opened up the vaults and dusted off a classic modcast that I think you'll enjoy. Again. This week's episode is features even more power pop songs, and this time around I've got some classics, as well as some more obscure tracks and some harder edged songs. 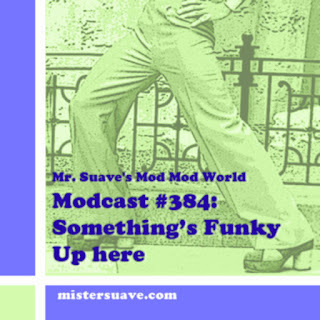 If you are in a band and would like to be featured on Mr. Suave's Mod Mod World, drop me a line at rob@mistersuave.com. Hey, great blog Mr. Suave! Any blog that features all things mod AND Teenage fanclub is ok in my books. Well done.